One of the most common mistakes I see brands making is failing to optimize the design and images of their social media accounts. This is problematic for several reasons, the least of which being aesthetic. 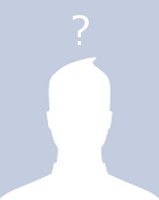 Un-optimized or incomplete profiles can confuse and leave users out on important information. Worse, if your profile doesn’t match your companies branding elsewhere on the web, a user might not connect with your account. Here are three simple steps you can take with your brand profiles to ensure you’re profiles are firing on all cylinders. Whenever you’re selecting imagery to share or feature on your pages, remember what the user experience will be. A Cover Photo of your building might make sense to you, but you see it every day when you come into work. Will a brand enthusiast in Milwaukee recognize your Florida offices building? Unless you’re in the Sun Life Stadium, the answer is no. Make sure your imagery is universally recognizable to both those intimately familiar with and just discovering your brand. Beyond choosing compelling and relevant imagery, make sure that it is sized to at least the bare minimums. This prevents grainy or unbecoming images from making their way into the user experience, important for ensuring a positive interaction with your brand. If you need to get caught up on sizing information, check out our oft-plugged social media sizing cheat sheet. Too often I see companies miss or leave empty critical sections of their About Us or Bio sections. These are additional areas where you can reinforce your brand, describe your products or services, or add calls to actions to fans. Be sure to take advantage of each of these to the fullest when filling in your designs. A good example of an oft-derelict region is the Milestones section. This is a great area to drive people further into your timeline or even off of Facebook and onto your own web properties. Filling out a few tastefully chosen timeline milestones with links in their descriptions only takes a few minutes and can offer another way for fans to find deeper connections with your page and you to create a richer experience for first-time visitors. The biggest mistake I see brands making is not matching the branding and messaging that they incorporate into their other web properties. All of our social media accounts feature the same imagery and messaging as our website. This is for two reasons – number one, to reinforce our branding, and number two, to show fans who are searching for us that they are in the right place. This is especially important because of how crummy Facebook’s search feature is for finding pages and profiles. 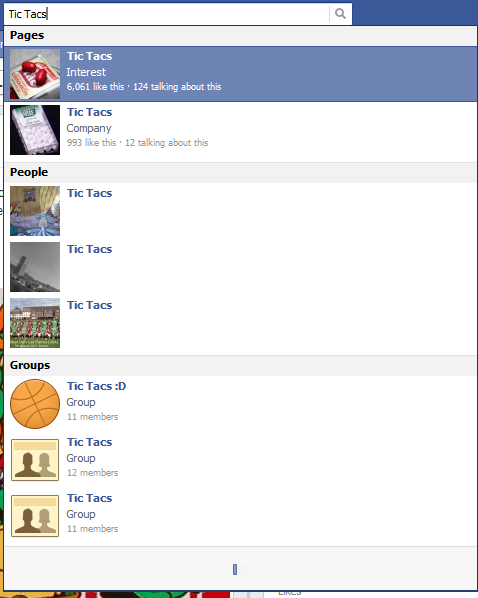 By way of example, look what comes up when I search for TicTac on Facebook. None of these are official TicTac Pages. By having strong branding on your Page, users who are trying to sort out fan-created pages for brand-created pages will be more easily able to identify which is the real deal. What steps do you take to optimize your profiles on social platforms? Tell us some interesting ones in the comments.